SiriusXM Radio said Tuesday that it added 715,000 net new subscribers in the second quarter, bringing its total subscriber base to more than 25 million as of mid-year. The satellite radio firm controlled by John Malone's Liberty Media, said that was a new quarterly record for the time since the Sirius-XM merger. In comparison, Netflix had ended the first quarter with 29.17 million U.S. subscribers, and cable giant Comcast had reported 21.94 million video and 51.9 million total customers. "Strong automotive sales helped drive 15 percent growth in net additions over the second quarter of 2012 and set a post-merger record for quarterly net subscriber additions," it said. The company also raised its full-year guidance for total net subscriber additions to 1.5 million from 1.4 million previously. 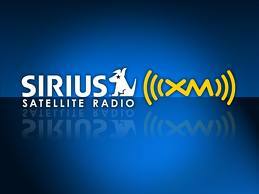 "The new subscriber additions in the quarter have helped Sirius XM reach an exciting new milestone that reflects the popularity and reach of SiriusXM programming and services," said CEO Jim Meyer. "The quarterly results bolster SiriusXM's leadership position in a dynamic audio entertainment marketplace as we continue our trend of strong, profitable growth."